As perhaps the world’s most identifiable hippie, David Crosby says his face belongs on a package of pot. 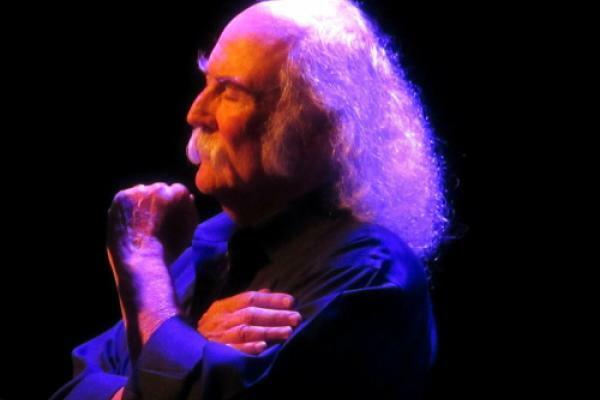 “My face, my mustache, my balding head and my white hair have been on all these records for 50 god---- years, so I’m hugely recognizable; more so even than I am famous,” the co-founder of Crosby, Stills, Nash & Young and The Byrds tells Benzinga. The number of people who recognize Crosby far exceeds the number who can name the bands he played in, he says. Crosby’s career is shrouded in pot smoke, from songs like “Eight Miles High,” “Wooden Ships” and “Almost Cut My Hair” to playing the major festivals of the 1960s: Monterey Pop, Woodstock and Altamont. Crosby has been on a prolific songwriting run since Crosby, Stills & Nash disbanded two-and-a-half years ago. His fourth album since 2014, “Here If You Listen,” is a collaboration with Becca Stevens, Michelle Willis and Michael League that’s set for an Oct. 26 release. Crosby kicks off a fall American tour Nov. 2 at the Neptune Theatre in Seattle. The musician’s move into the cannabis business follows other lifelong pot enthusiasts-turned-cannabis entrepreneurs such as Tommy Chong, and comes as the recreational weed industry is scaling up and consolidating — a factor Crosby says is fundamental to the stability and long-term potential of his brand. “I’m going to approach it from the highest level. I’m going to market and advertise my brand a level to people who are intelligent and have sophisticated taste,” he says. “Mighty Croz” is aimed at both baby boomers who grew up with Crosby’s music and their children. While it’s a recreational marijuana brand, Crosby is also eyeing the mass therapeutic potential of cannabidiol, or CBD. Opioid addictions can take hold in a matter of weeks, and NSAIDs like aspirin and ibuprofen are hard on the kidneys and liver, Crosby says. He termed CBD products “a new family of painkillers” that are coming to market without the potential for addiction or organ damage. Benzinga editor Dustin Blitchok contributed to this story. Photo: David Crosby performs at City Winery in Chicago July 22, 2014. Photo by Dustin Blitchok.